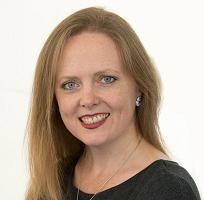 Data Changemakers 10: Rachael Tiffen, Senior Manager, Grant Thornton - IRM Connects, by IRM UK | IT Blog. The Data Changemakers series is a set of interviews and interactions with people who have spent their careers working in or around data and data management initiatives. They have a vision for the data journey and we want to understand what they have learnt and how that drives what they do today. What are their war stories and what advice can they give others embarking on thejourney? Rachael Tiffen is Senior Manager (Financial Crime & Fraud -public and corporate) at Grant Thornton UK LLP. 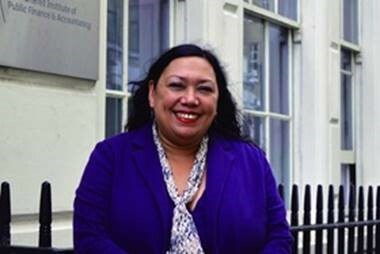 She is responsible for several national strategies for tackling fraud in the public sector won the Stella Walsh Award 2017 for long term commitment to preventing fraud. My background was working in the public sector and for local authorities for a number of years as a Head of Audit and Counter Fraud in 6 or 7 London Boroughs. In 2009 I moved to the National Fraud Authority (then part of the Home Office). At that time there was no national strategy for tackling fraud in local government and there was very little use of data to tackle fraud generally. I got involved in the Smarter Government initiative and worked in collaboration with business to help local government solve fraud. Large organisations worked with councils to use data in different ways for example Fujitsu and Southwark on false student data. There were many others including ones to cover Council tax, single person discount data, data matching etc. After that I went to MOD but very soon was asked to go and set up a counter fraud group at CIPFA and I also wanted to take forward the idea of using data to tackle fraud so I accepted. We met with lots of analytics companies and decided to work with BAE using Net Reveal to set up a service to deliver data analytics to the Public Sector. What originally took you into the Fraud /Audit arena? I had started working in a council and had reported some internal fraud cases to the fraud team. I became very interested in the process they went through to investigate so I applied for a job and got it and that’s where it started. I have a degree in English and History so this was not really in my career plan but that’s the way it worked out and has turned out to be a lengthy career so far. What is your current role and how do you use data to fulfil it? I now work for Grant Thornton and what I am doing is quite different to my former role. I am working in Fraud and Financial Services part of the Business Risk team. I am the lead SME for fraud risk assessments and assurance for the Public Sector and large corporates. I have not yet scoped it out yet on data as I am only 4 weeks in – but have spoken to a number of people already and seen good capabilities in GT so far. I think I am a fraud technical person. I would definitely not say I was a data technical person. I know enough but it is strange the way life moves on – things have changed dramatically in my life time. There was only one computer at my school and you had to book time on that! I am a business person as well – at my former and current organisations there was an element of business activity. What has been the most challenging fraud project you have worked on and what data was involved? Was the project a success and why? The biggest thing I’ve worked on was part of the CIPFA project, partnered with BAE and going around the country on roadshows in early 2015. We saw a lot of public and private organisations and built the idea of what a data analytics end to end service might look like based on what people said. We were about 6 months into this when a tender came up to build an analytics service for all 33 of the London councils. The bid took a year, there were different stages and changes to specification.. I was the fraud lead person and I had a technical lead person from BAE. The importance of understanding the landscape and that people matter. We came across well because we were very enthusiastic and passionate about what we were building. I also came to appreciate more fully that there is a lot of choice out there. There are many different vendors who are offering a lot of products which leads to confusion about the differentiation between data matching and data analytics. What needs to be complex and what does not? What do you think are the key trends in fraud data management today and how do you think they will change the way we all do business? There needs to be a demystification process. A lot of it is about what you are doing with your data – who is responsible for it, how secure is it and about what else should you be doing with it e.g. personal data on children. Also new time frames to acknowledge. Staffing is another area I think we are seeing change. There are a lot of people who are learning on the hoof as I have done. Keeping up to date is very challenging but you have to do it or you won’t get the right people on your teams. You need to understand basic processes and get the full span on your team to deliver your project. There is definitely a gap out there for case studies with accompanying process maps for all the questions you need to ask before you realise at the end that you have not asked the right thing and have to go back to change something. What advice would you give to someone embarking on a large data-related fraud project today? I would say that you need to understand that it is not just about data – it’s people that matter. Understand stakeholders and where they fit in a stakeholder map. Lots of people play lots of parts in a data project. Where do they fit in the jigsaw? Understand the landscape and the client’s needs and the objectives of the project. You have to be authentic. Understand what will be good for them. If you are working with someone and it is a success then other people will buy it or use it. I think I would say that I always take the time to listen to what the client wants and understand how what I can provide meets their needs. I try to understand the motivators for the project and what the desired outcomes are. I think you need to make an investment in understanding and listening and being transparent about what you can and can’t do and what might work. This includes putting together the right team, being honest, understanding needs and objectives, being technically able, not over-promising. If client is “wrong” in your opinion you can use case studies or industry examples to suggest different ways of doing things and show the outcomes eg What it looks like and what it will take to get there. Given the current drive to encourage more young girls into technical/scientific roles, why should young women in particular consider a career in a data management related area? I had my own thoughts about this but also asked my 14-year-old daughter. What she said is that they should consider it because it is interesting and because it is new. Someone commented that there were only men with me at my recent leaving do – I had not noticed but I guess that fraud and data and analytics might be perceived as a male thing. If you look at the KODAK story about data disruption – they failed to spot changes in perception in enough time. We need to spend more time investing in getting women involved in data at school which would enable them to get into it and excited about it. If women are not up to date with it they will get left behind. How can we engage them and get them seeing this early on? I am best known for probably 2 things – the first one would strategy for fraud prevention in local government. When I joined the NFA I was lucky enough to be asked to research and create the first national strategy for local government and take it through government and get ministers to sign it off. I was then asked by the government, when I was at CIPFA, to write the next one. This is unusual and I am therefore known for it in most local governments around the country. The second thing would be the win for the CIPFA contract with the local councils in London – the biggest contract we ever won. What do you like doing outside of your working life? I like reading a lot. I really love Russian novels and I’m quite into Victorian Gothic novels – my favourite is The Moonstone by Wilkie Collins. 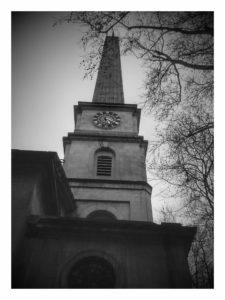 I have started taking photographs and have thought about publishing some – buildings and churches and different times of day and night and from different perspectives. The Hawksmoor churches are particularly fascinating to me. People talk to me to exchange ideas on all aspects of business development, content creation and relationship building around data management and digital transformation challenges. I’ve helped external customers with a variety of problems including GDPR and Single View of Customer and internal customers struggling with managing disparate teams or how to generate joint content or go-to-market strategies. I am currently undergoing my own digital transformation learning all about digital marketing including SEO, Content, Mobile, Social, Affiliate and B2B marketing via an IDM Professional Diploma course. In tandem I’m applying it to Entity Group’s business so watch our social posts, website and branding to see if you can spot where it’s working and where it’s not and let me know? It’s all related to having data – good, bad or ugly data – and how it can be applied to different goals. I’d love to hear your point of view and discuss any data challenges you are having to see if I can help or if Entity Group can.